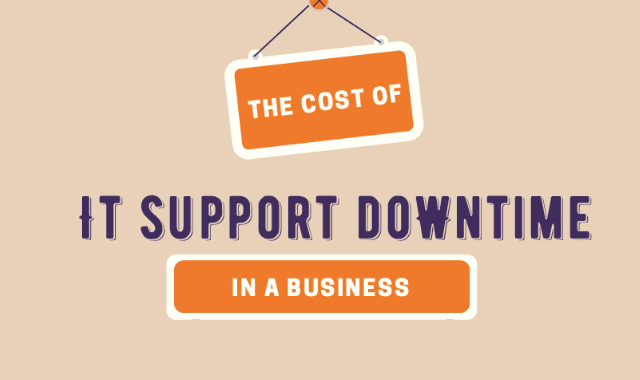 The Cost Of IT Support Downtime In a Business #Infographic ~ Visualistan '+g+"
Business operations greatly involve processing and managing large amounts of data, which is why server speed and efficiency level significantly affect a business performance. Having a good IT infrastructure ensures business continuity and protection against cyber attacks, which can make or break a business. IT downtime does not just lead to operational nuances, but also to large amounts of money lost. In a Ponemon Institute report, researchers found that the average cost of data center downtime across the industries was about $5,600 per minute. Meanwhile, for IT downtime incident length, the average was 90 minutes, which had an average cost of about $505,500 per incident.